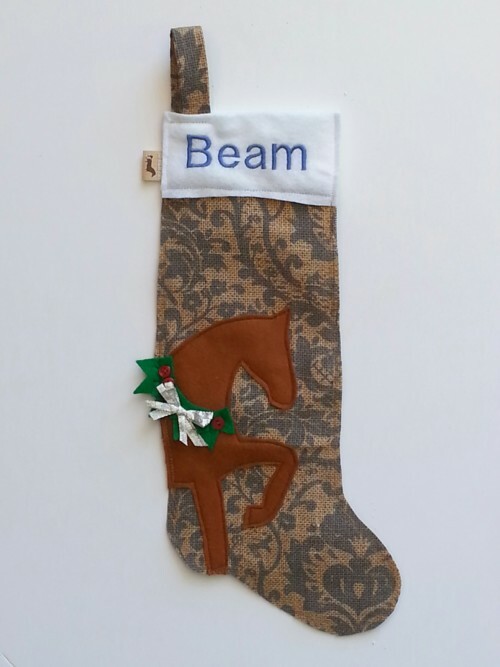 This Baroque Equestrian Holiday Stocking is blue on burlap and perfect for home or barn. 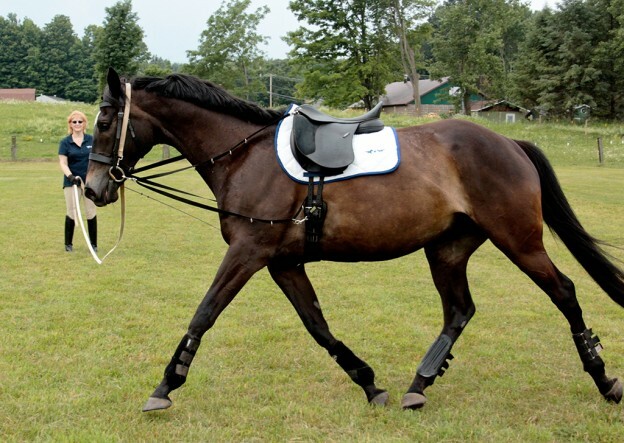 Add a horse of any color either standing or jumping. 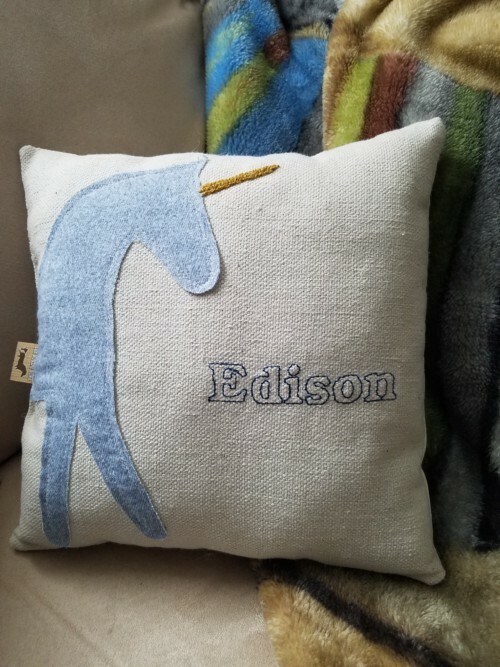 The white topper can be embroidered with any name up to 8 letters. 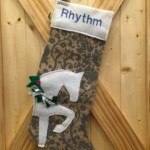 The stocking measures 18″ from the bottom of the loop to toe of stocking. The topper opening measures 5″. 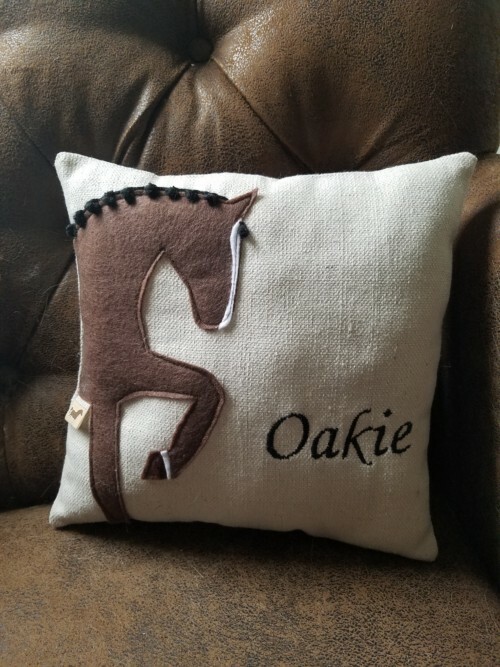 Backing is neutral/natural burlap. Please add desired customization ( up to eight letters ) to the Note section during checkout. 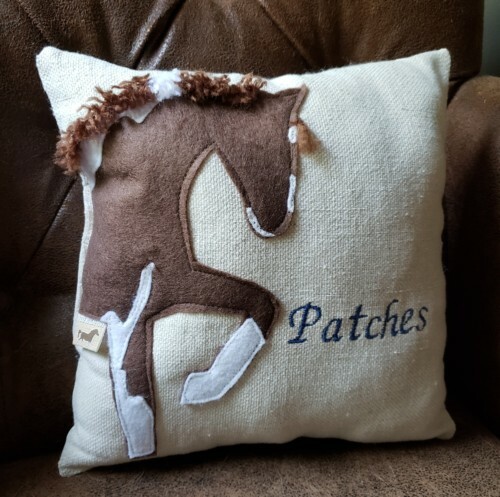 See our Custom Extras page for more customization options like our embroidered braids or bling bridles! 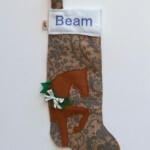 Our adorable treat reminder magnets make great stocking stuffers! 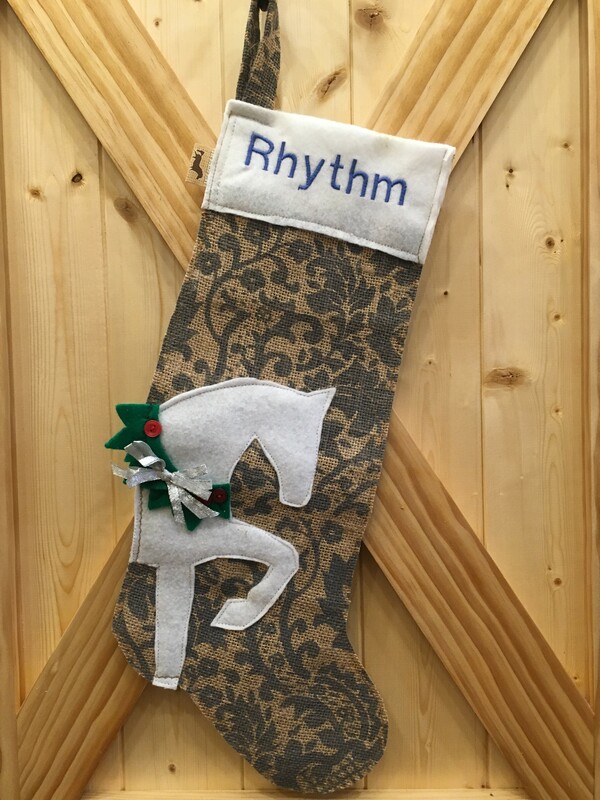 For a smaller alternative, see our mini stockings! 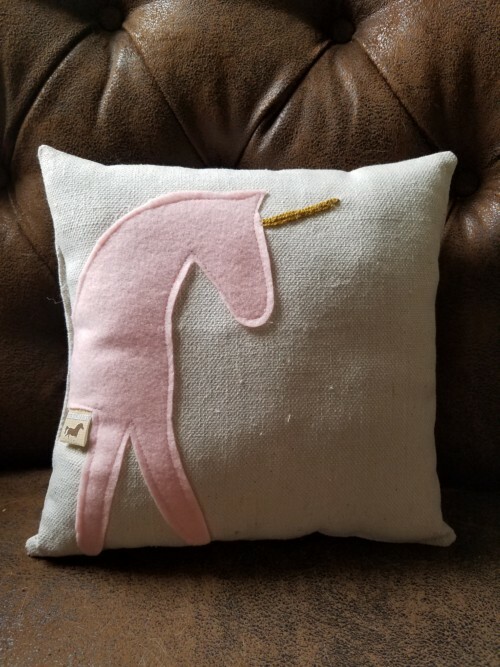 I try to complete all items and ship them out within 10 business days. However, times may vary depending upon the number of orders received. Is your style elegant? 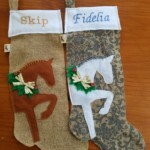 Then this burlap stocking is for you. A horse of any color will pop off the subdued background. In addition, the contrast of meandering artwork against the burlap is reminiscent of traditional Baroque patterns. As a result, whether you choose a statuesque or a leaping horse, this decor is sure to draw comments. 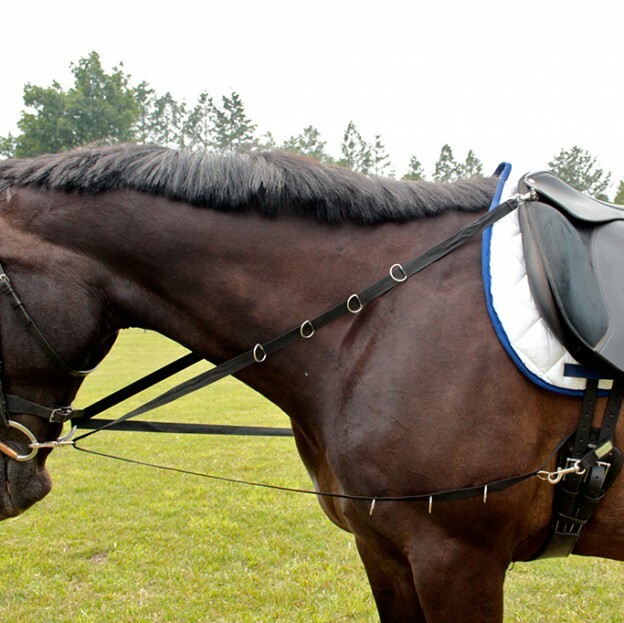 Your own horse may not notice but all your friends will! 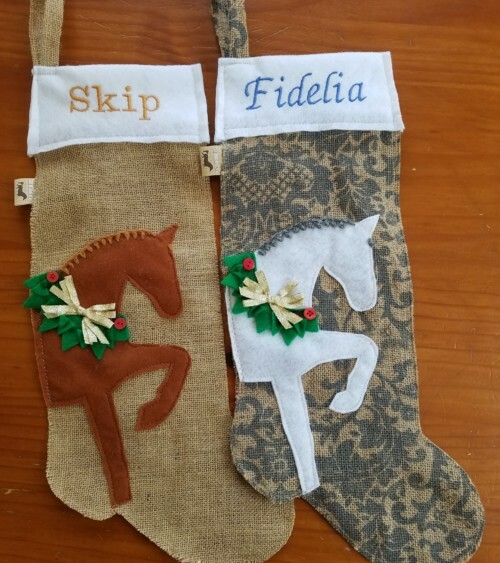 Give it as a gift or keep it for yourself; horses, that equestrian friend, Baroque enthusiasts, you, everyone will love finding this stocking filled.